What’s the cost to your business if the critical operations are down for hours longer – in terms of lost productivity, opportunity cost and customer satisfaction? In the age of the information highway proliferation your company’s computer systems are the bloodline of your organization. Information systems running your business critical applications are at the core of your business and downtime is not an option. Wouldn’t you want to save face by resolving issues as they occur rather than waiting for users and business stakeholders to report them? LegaSystems Remote Monitoring Managed Services is designed to do just that! Have you identified the need for backups, but don’t know where to start? Do you have an on- premise solution, but need to expand your level of disaster recovery to have a remote backup location to store your data at? Are you worried that you may not have the time or resources to dedicate to securely creating a remote backup solution? Look no further! 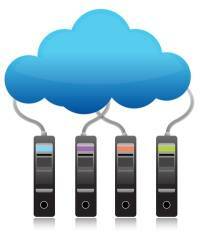 LegaSystems has a full offering in their managed services for remote backup.